The retirement requirement for work experience in Bulgaria is to be raised with 3 years, according to amendments to the Social Security Code proposed Monday by Bulgaria's National Social Security Institute. Representatives of Bulgaria's trade unions voiced strong opposition to the proposed amendments, with the Confederation of Independent Trade Unions (KNSB) threatening street protests if the proposal is passed by Parliament. “Raising the work experience requirement for retirement is bad for workers, who facing unemployment might well reach the retirement age without having fulfilled the length of service requirement,” stated a KNSB member. Representatives of Bulgarian employers also were discontented at the proposal, saying they approve it in principle, but require a gradual change of the requirement. Other amendments were voted at the sitting of the National Social Security Institute, including a fixed social security base for self-ensured individuals, remittance of interest owed by individuals for social security and a change in the way unemployment and maternity compensation is calculated. Talks on the proposed amendments is set to continue Tuesday. 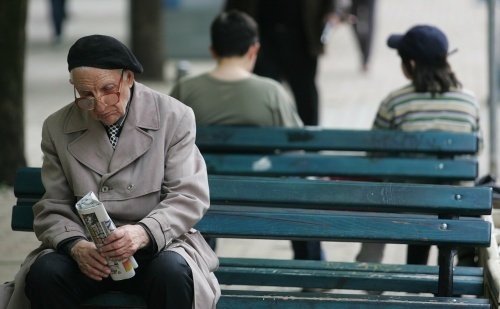 Earlier in July a survey showed that about 26% of Bulgarians doubt that they will have the required amount of working years in order to retire, with 41% unsure.